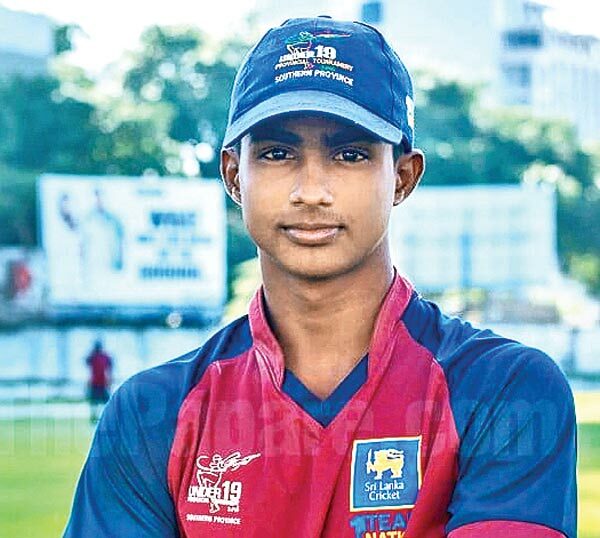 Ashen Bandara joined team mate Pathum Nissanka when he completed a solid century on the third and final day of the second under 19 test against South Africa which ended in a draw at the Welegedara Stadium yesterday. The overnight pair carried their fifth wicket partnership to worth 210 runs before they were separated. Nissanka struck a superb 172 off 295 balls with 22 fours and one six, and Bandara hit 16 fours and a six in his knock of 121 scored off 310 balls. Sri Lanka declared their first innings at the fall of Bandara’s wicket at 378-7 gaining a first innings lead of 134. In the remaining time South Africa failed to wipe out the deficit scoring 133 for one with Raynard von Tander making an unbeaten fifty. The third and final under 19 test will take place at Pallekele from July 3-5.